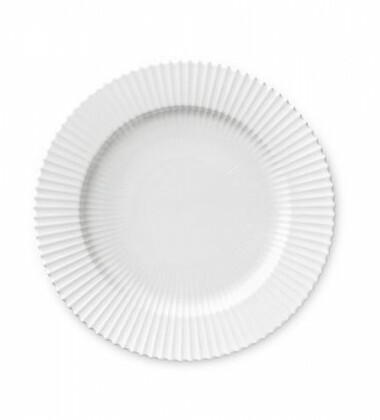 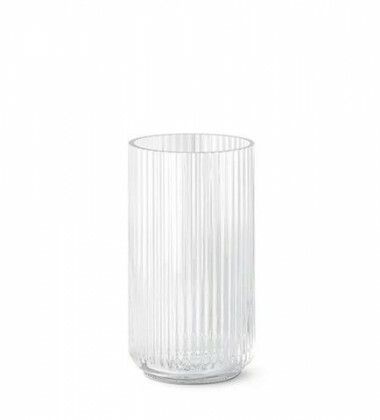 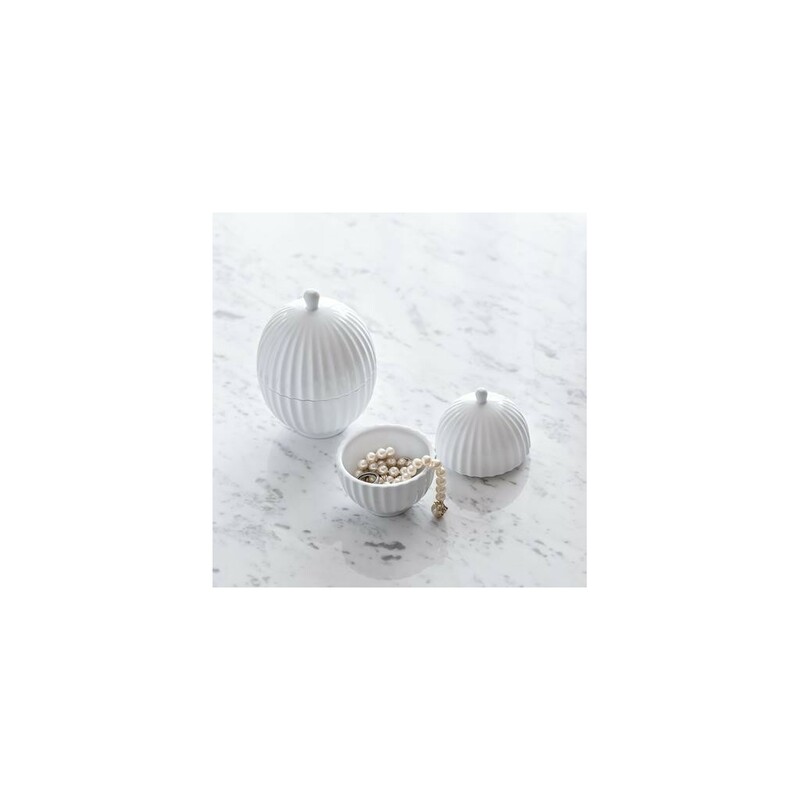 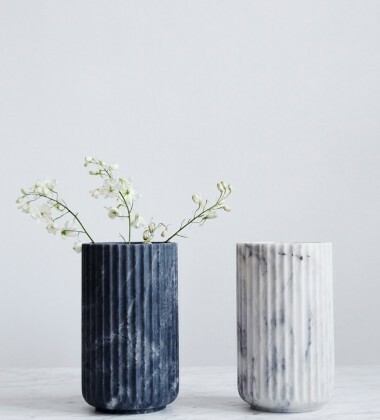 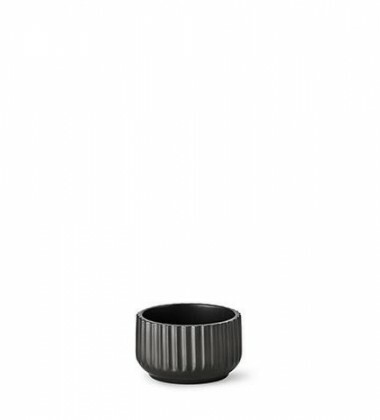 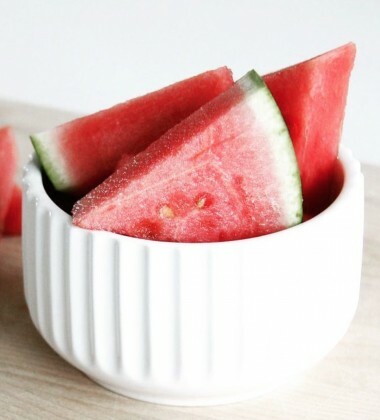 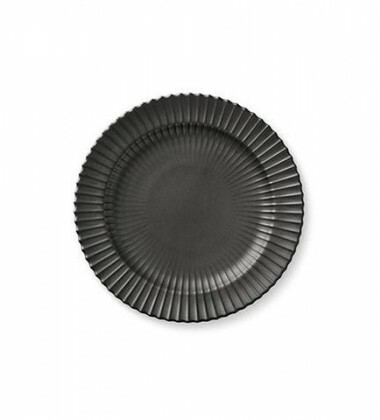 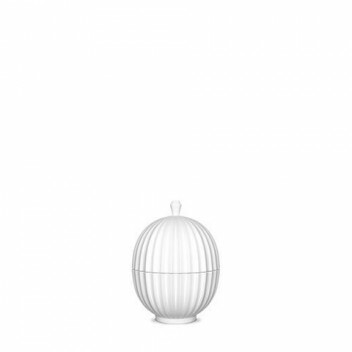 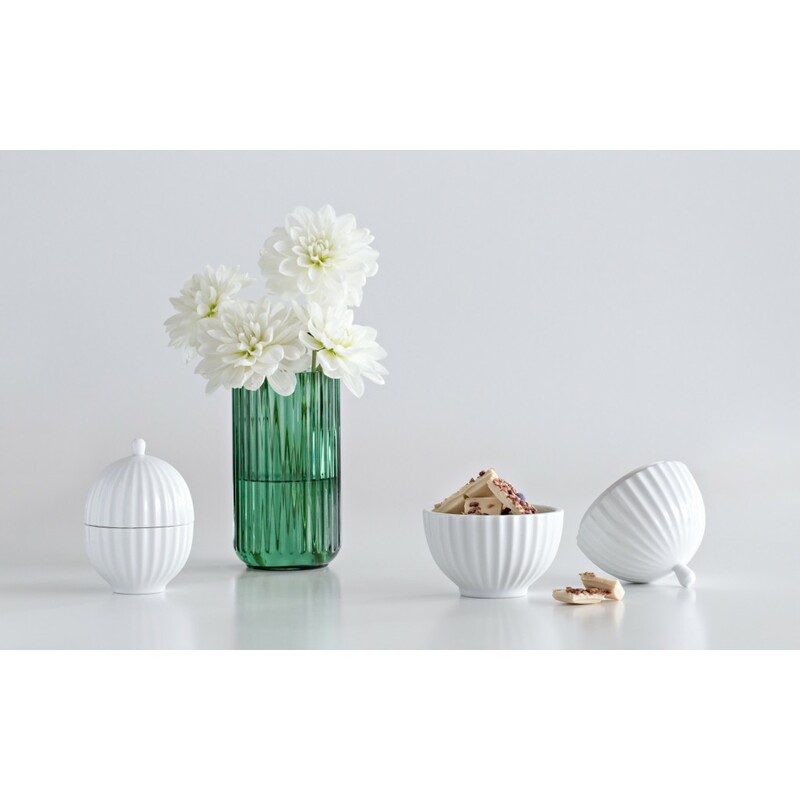 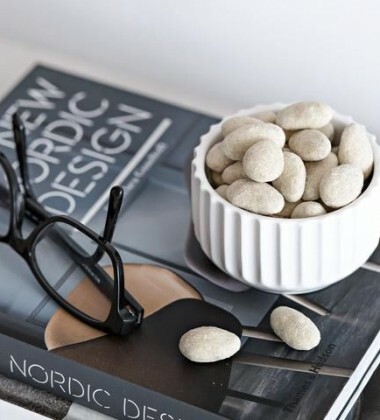 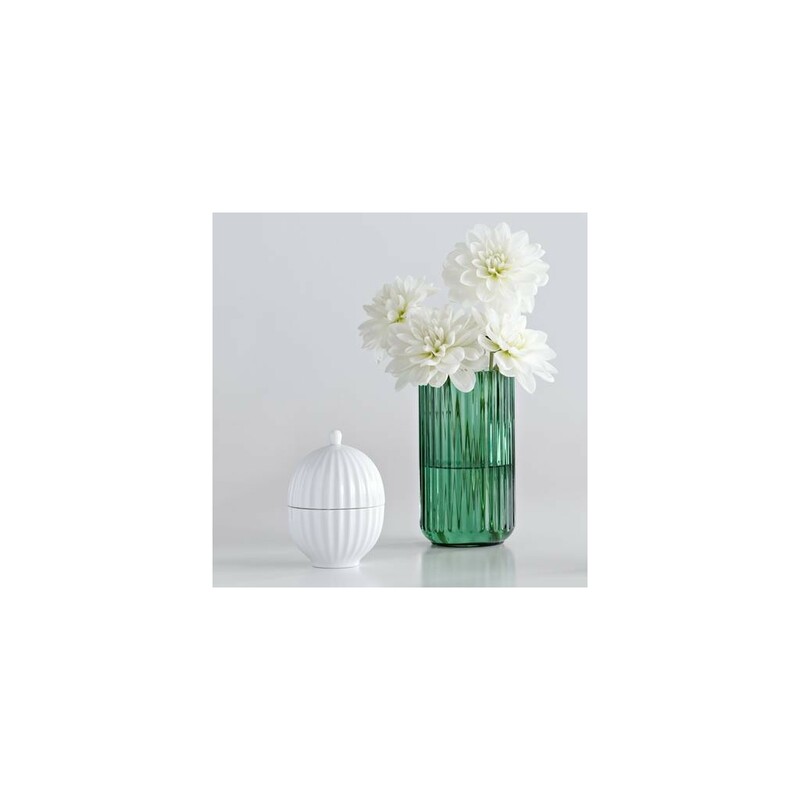 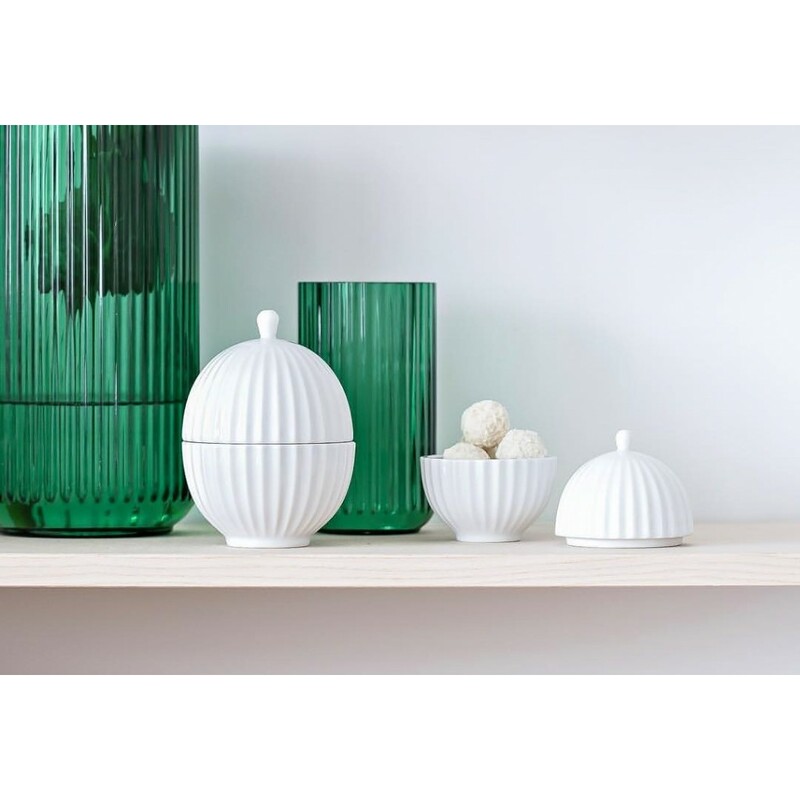 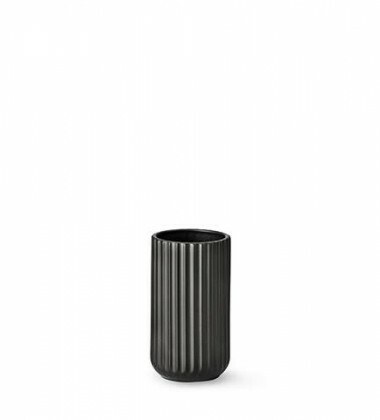 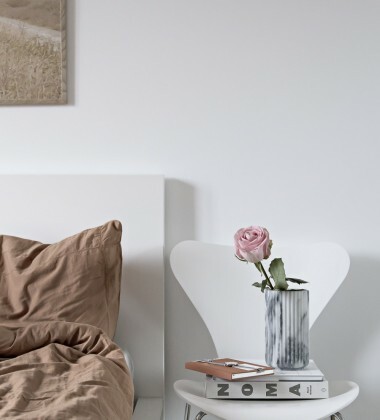 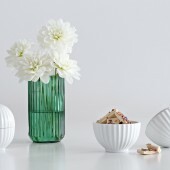 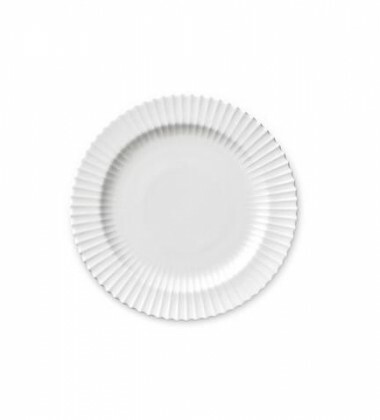 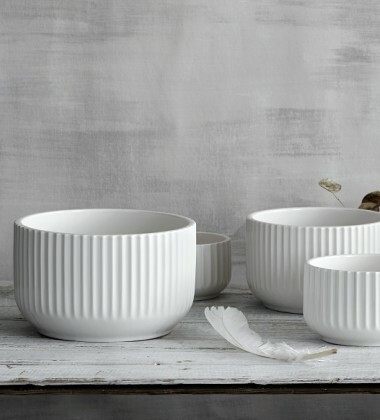 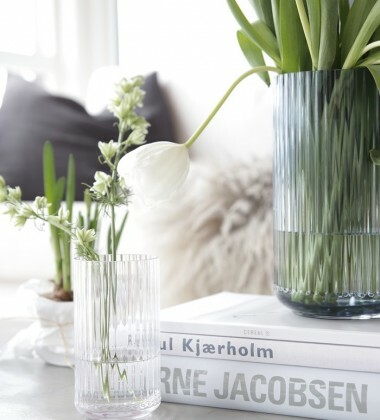 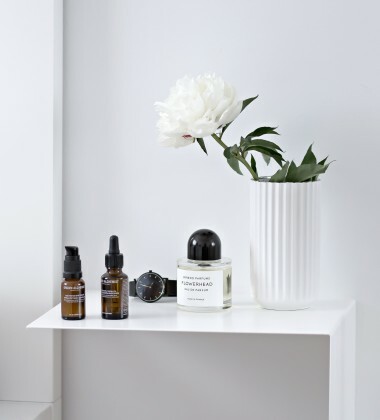 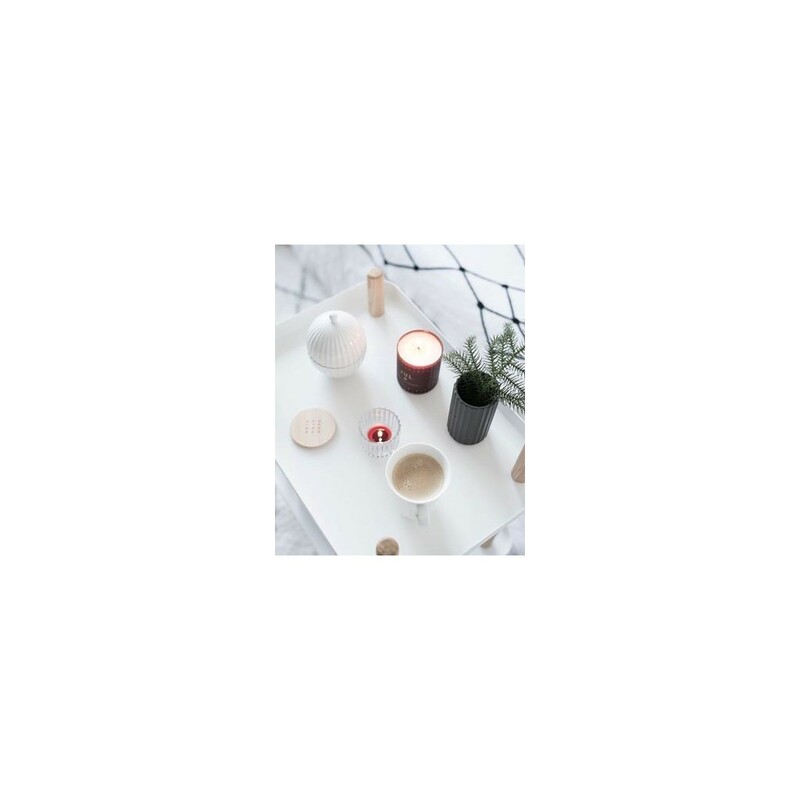 The original Lyngby Bonbonniere (13.5 cm) is designed with the iconic Lyngby grooves known from the Lyngby vase, harmoniously expanding the original Lyngby collection. 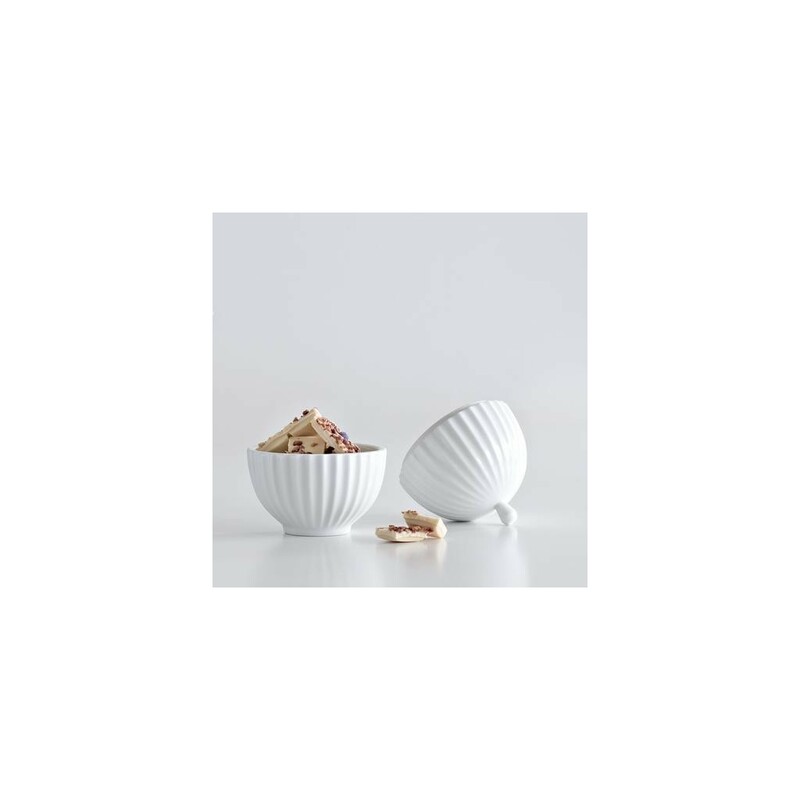 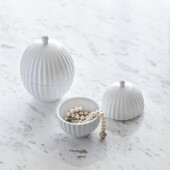 The lovely bonbonniere is available in different sizes and offers endless decorative applications. 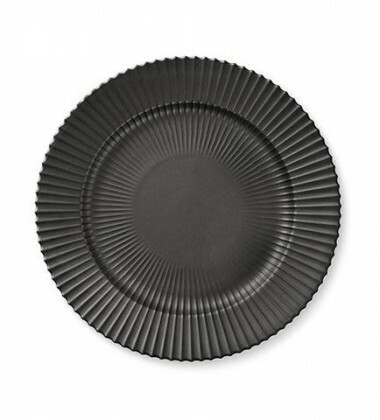 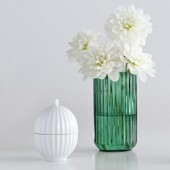 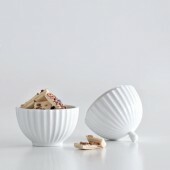 It is ideal for storing keys, jewelry and other personal belongings and for serving chocolate, candy and other delights. 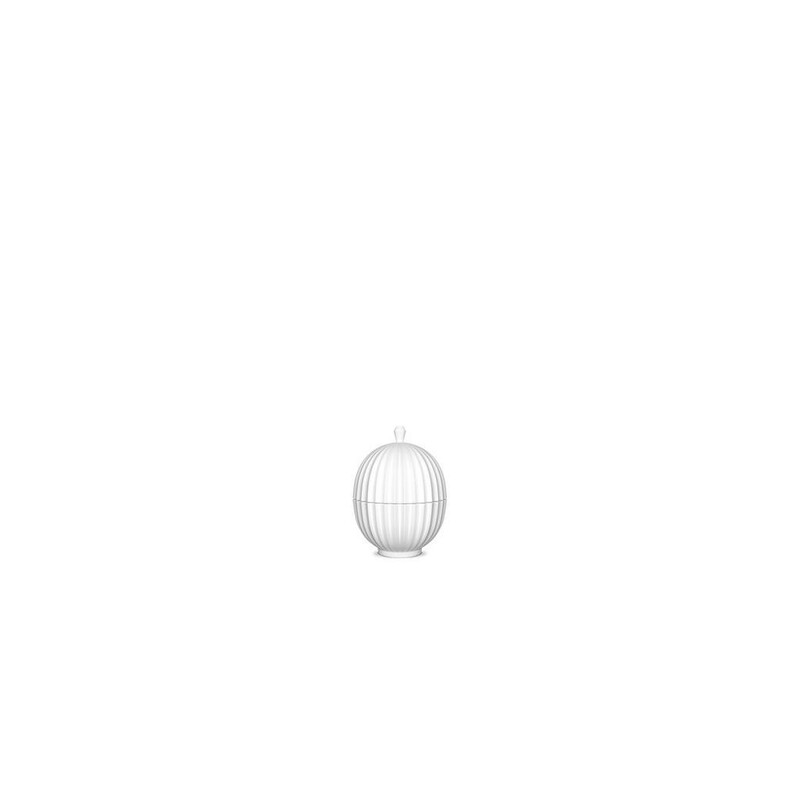 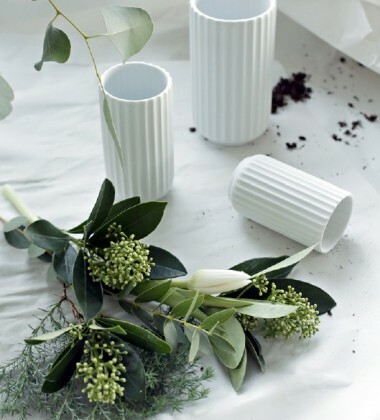 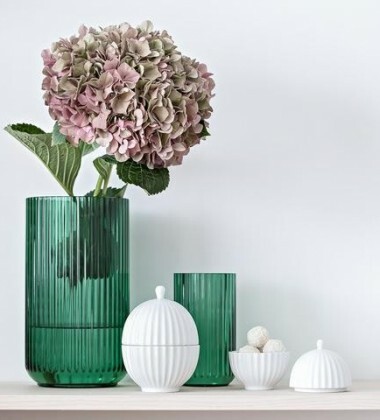 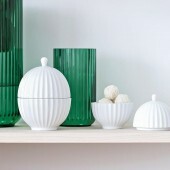 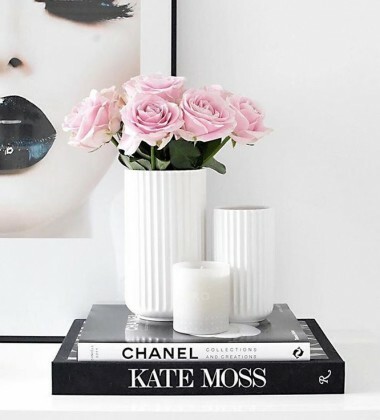 Without content, the bonbonniere is also a beautiful porcelain sculpture in itself, rooted in the characteristic form of the Lyngby vase and simultaneously having its own charming expression inspired by classic ornaments and storage jars from Porcelænsfabrikken Danmark (1936-1969).